Daniel Sullivan "Iron Railings" was located at 230 State St., Brooklyn, from approximately 1883 to 1891. This ad for the Daniel Sullivan iron railing manufactory appeared in a Brooklyn city directory in 1883. Daniel F. Sullivan was in business in Brooklyn as an iron founder from around 1864. In 1880 the U. S. Census Non-population Schedules recorded what appears to be a rather modest enterprise. Capital invested was $600. Greatest number of hands employed was 5. Total wages paid during the year was $1200. The foundry was in full time operation 10 months in the year. And the value of the past year's production was $3800. Sullivan himself was recorded in the 1880 U. S. Census, a native New Yorker, age 39, living on Bergen St., Brooklyn, with his wife and three young children. 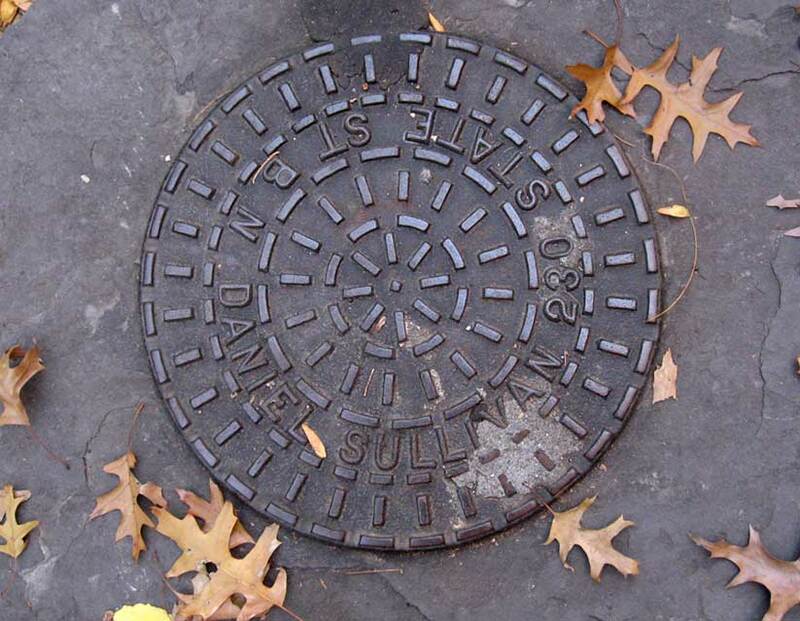 Another Daniel Sullivan coal chute cover is found at 201 Court St., Brooklyn.